Get the very best in BJJ clothing, rash guards and kimonos from Tatami Fightwear – a reputable brand that’s been established since 2009. Here at Fighters Market EU, we offer a large collection of Tatami kimonos, Tatami rash guards, Tatami Grappling Spats and Tatami shorts. With shipping available throughout Europe, there is no better place to buy your fighting gear than right here! Take a look at the Tatami Fightwear collection we have below. Tatami Fightwear is on a mission. 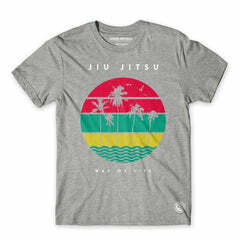 They want to offer high-quality Jiu-Jitsu clothing at affordable prices. Since 2009 the team have created innovative, quality clothing that accessible to all, with everything from fightwear to Tatami leisurewear available to buy online. The brand was founded in South Wales by Gareth Dummer and Lee Jones, with Gareth himself holding a BJJ black belt and teaching the sport in lower income areas in the community. By upholding the values of BJJ, Tatami has become one of our favourite brands to stock on Fighters Market EU. Their distinctive prints are easily recognizable when you’re on the mat, with premium quality materials and a technical attention to detail. Shop the full Tatami Fightwear range at Fighters Market today for Tatami fighters clothing and more from this exciting BJJ brand.